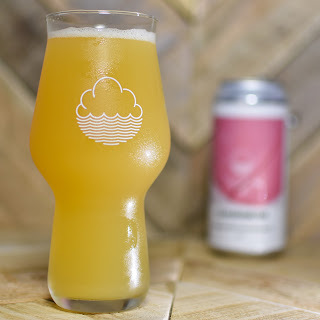 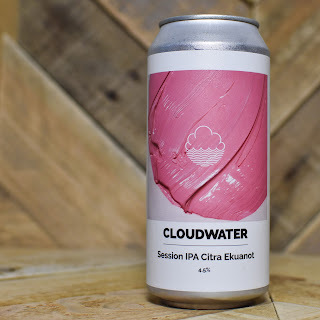 I've drunk a lot of Cloudwater beers in the last twelve months, especially their amazing DIPAs! 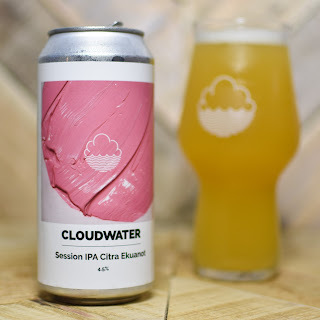 But it was high time that I explored a little more of their range so when The Beer Musketeer recently scored a few cans I didn't hesitate to snap some up. 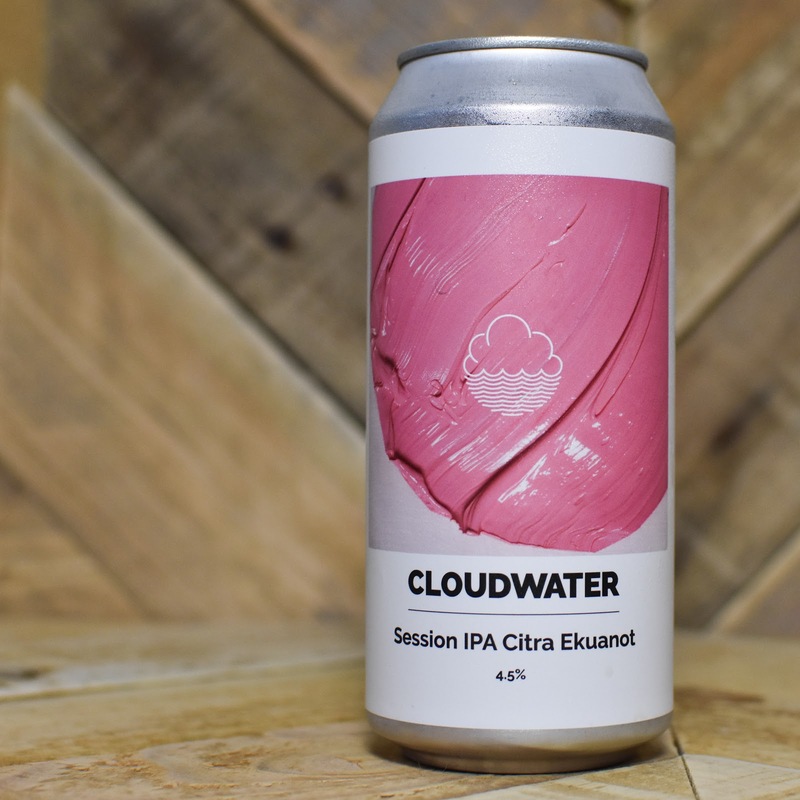 First of these to be reviewed is their Session IPA Citra Ekuanot which weighs in at a very civilised 4.5% ABV. 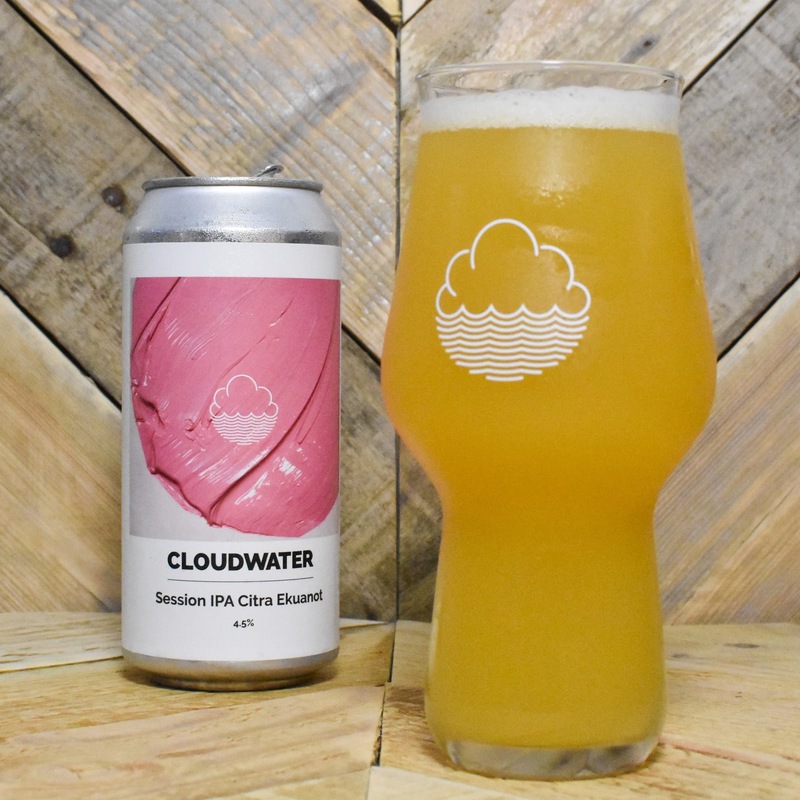 It certainly looks like a Cloudwater beer when poured, with a glorious sunshine yellow hazy appearance and a beautiful white head that laces well. The nose is punchy enough, with apricot, fresh cut grass and citrus freshness giving it the aroma of summertime, and it's mouth-feel although relatively light, is well carbonated. 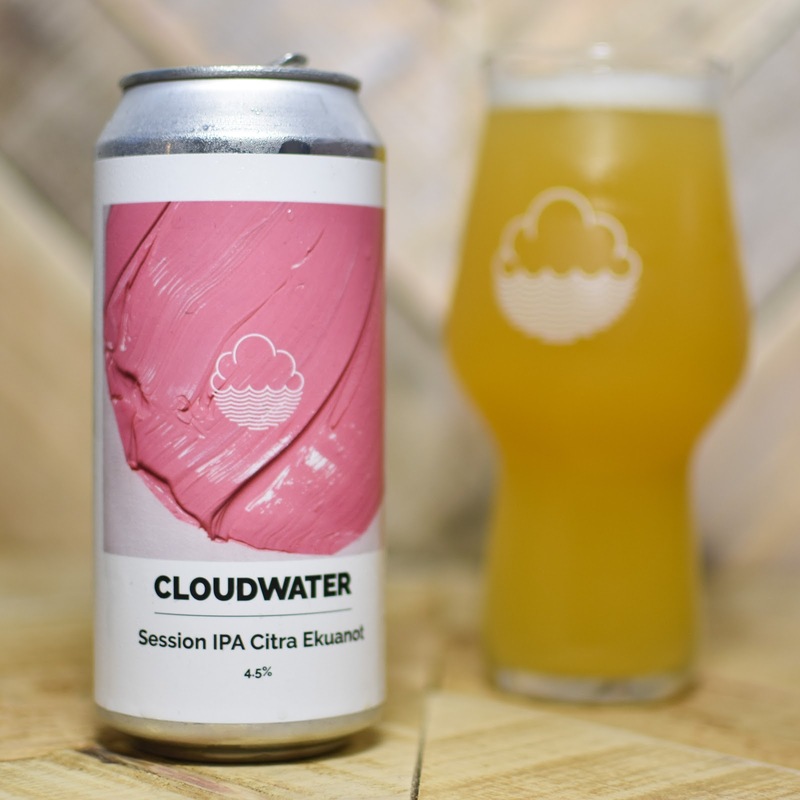 That summer time vibe comes through well in the tasting, with the apricot joined by tangy grapefruit and a wonderfully bitter finish that lasts and lasts. 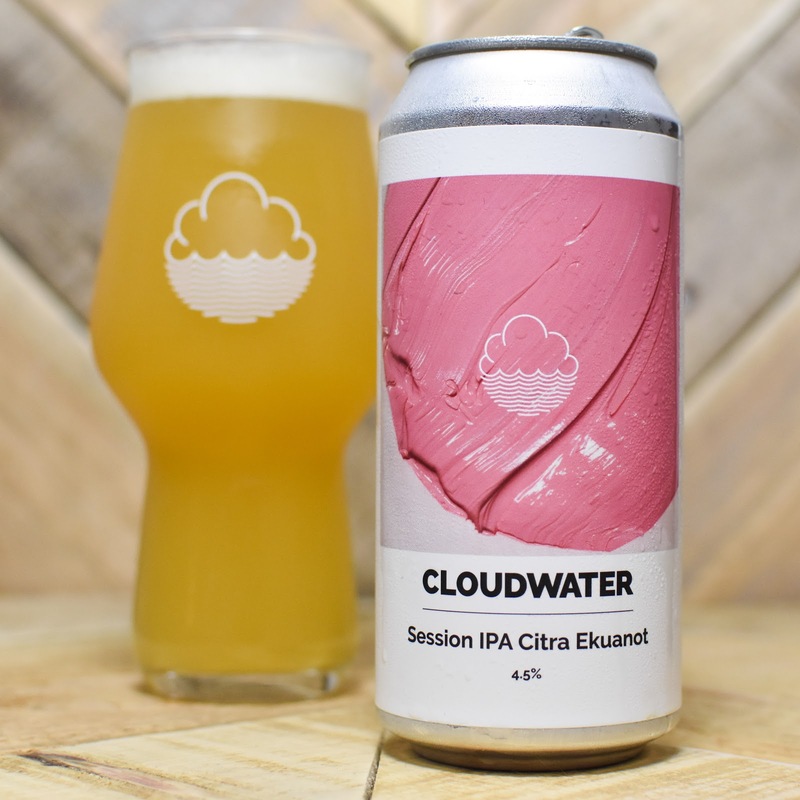 This session IPA is a great example of modern IPAs, proving that you don't need to sacrifice flavour when brewing a sessionable ale. 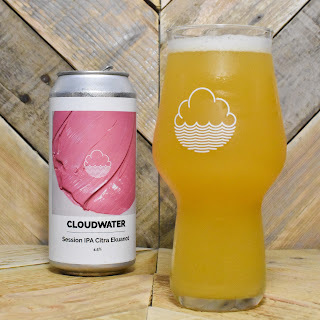 I could happily sink a few pints of this in a sunny beer garden!